Stunning Mediterranean 1-acre home is located in sought after Bella Foresta. Designed with exceptional materials, designer finishes and details throughout creates a truly one-of-a-kind home. This Verona model by Taylor Morrison consists of a separate in-law casita and interior courtyard. Beautiful travertine flooring covers the main living area along with wood flooring in the formal dining area. The living room has a beautiful fireplace and wine cellar for the avid wine lover. The kitchen is a cookâs delight with granite counter tops, custom backsplash, stainless steel Sub-Zero refrigerator, Wolf six burner cook-top, Wolf ovens, large island and breakfast area. On the main level, the oversized master bedroom includes its own cozy sitting area, elegant bathroom and large walk in closet with custom cabinetry. 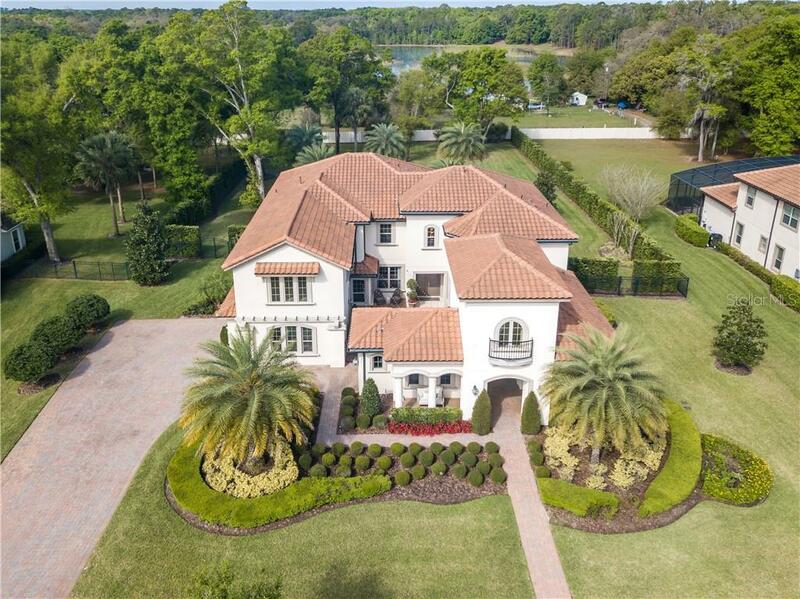 Upon ascending a luxurious winding staircase, there are 3 bedrooms w/walk in closets, 3 full baths, media, bonus room and large balcony overlooking the breathtaking grounds and beautiful sunset views over Lake Ross. A dramatic outdoor living area features a brand-new summer kitchen and travertine flooring. This wonderful outdoor living space overlooks a custom pool, spa and two cornered waterfall firebowls. Retractable motorized screens provide insect protection and shading without blocking your views on the lanai. This one owner home is in like new condition and is truly move-in ready. Region 1 school choice for elementary schools.